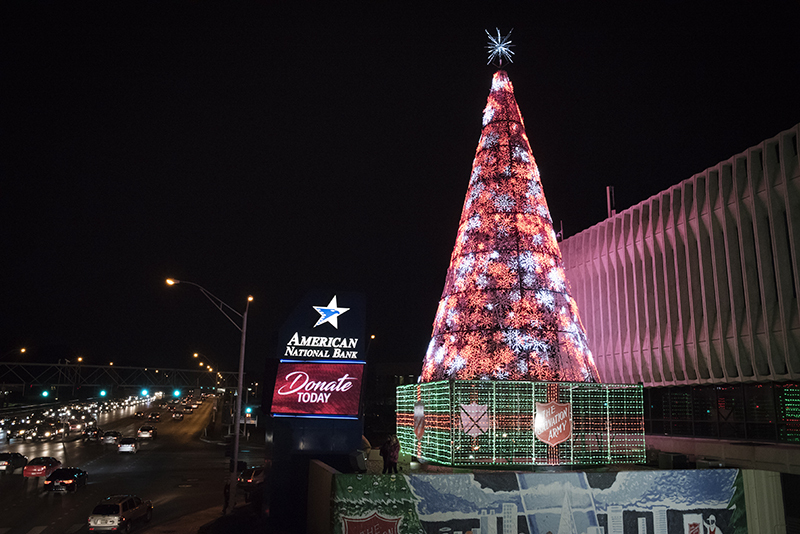 The Salvation Army exceeded its 2018 Tree of Lights Campaign goal in the Omaha metro, raising an estimated $2.95 million. Major gift donations increased substantially in the metro area, and red kettle donations finished strong. Maj. Thompson emphasized that only a portion of The Salvation Army's overall funding needs are raised through the Tree of Lights Campaign. Additional funding from individual donors, as well as corporate and foundation support, is needed year-round to maintain programs and services. Contributions to the Tree of Lights Campaign support the Human Needs Fund, which provides funding for food, housing, material assistance, youth development, behavioral health, older adult services and anti-human trafficking programs. Nearly every program within the Human Needs Fund requires substantial private support. Out of every dollar raised, 87 cents goes directly to program support.